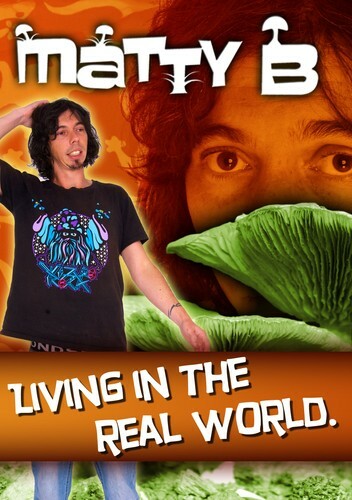 Matty B presents Living in the Real World - Matty B’s warm, inclusive and tightly written comedy is a potent mix of true grit and high fantasy. Having smashed his way out of the Newcastle comedy scene and onto the Australian stage, cult comedian Matty B will take you on a trip through reality and out the other side. Dishevelled and deceptively casual, this articulate country boy blends his sharp insights into everyday life with wild joyful philosophies and flights of fancy that will take you out of the mundane and into the realm of possibility. Matty B understands the Real World, and he doesn’t like living in it very much. Living in the Real World is the story of a mind that takes the walls of reality and turns them inside out. Matty B is the man pulling the strings to slip the bonds of reality. He weaves his jokes into a tapestry of imagination and then takes you on a magic carpet ride. Living in the Real World takes the dull fare of every day life, and seasons it in a way that’s a hell of a lot more fun. Living in the Real World will also feature a guest spot by Alice Fraser, one of Sydney’s brightest comedic talents. Hey guys, Online tickets sales close at 3:30 but there will be tickets on the door.